CJCDC, in partnership with dfree, provides family partners with financial education, resources, and tools to help them attain financial self-sufficiency. dfree is a comprehensive program that teaches people how to live without debt, pay their bills on time, and live within their means. 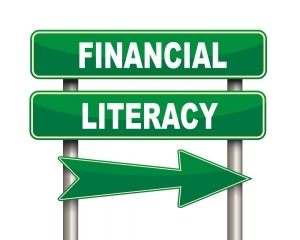 The goal of the program is to help people increase their financial capacity by making smarter financial decisions. CJCDC promotes the quality of life for youth and their families with programs designed to encourage and stimulate youth learning experiences. Tutoring is available to assist the youth with their homework and help them succeed in the classroom. Oratory training is also provided by qualified, dedicated professionals who help the students develop their language and speaking skills and promote self-confidence and proficiency in public speaking. The “golden” citizens of the community are valued members of society. Our efforts to enrich their lives include health and wellness lectures, medical screenings, fitness classes, trips and outings, a weekly gathering to stimulate social interaction and more. CJCDC promotes healthy aging because of its effects on personal, societal, cultural, economic and environmental factors. We realize the importance of collaborating with the public, health care providers, government agencies as well as community organizations.